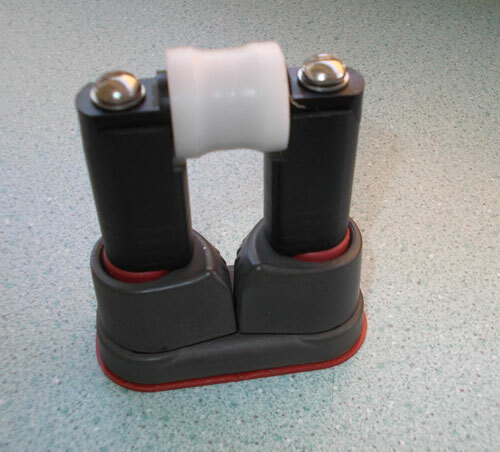 A 22mm diameter bobbin roller sheave fitting for mounting onto a centre cleating mainsheet swivel block to reduce chafe and friction on mainsheets. 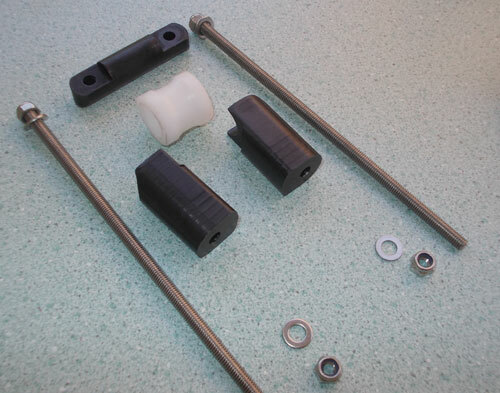 Suit standard Harken or Ronstan cam cleat with hole centres at 38mm. Narrow 18mm slot to better guide mainsheet into the cam cleat. 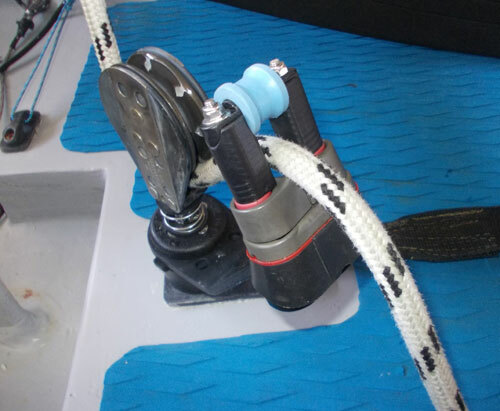 High roller position makes uncleating easy and mainsheet trimming, without cleating, effortless. 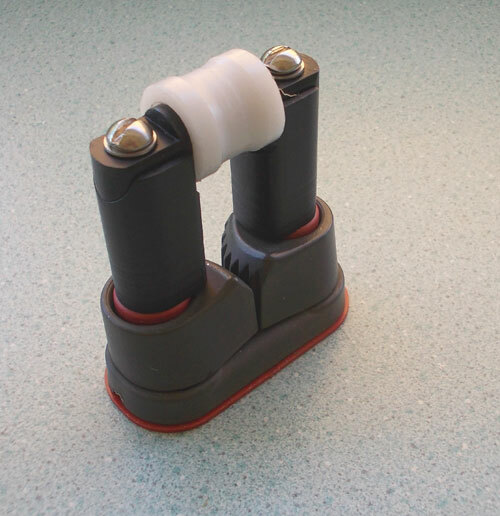 No more high mainsheet resistance, by pulling the mainsheet up againt a static fairlead, when using this bobbin roller. Note -- Cleat is not included. 150mm long 5mm threaded stainless steel rods that can be trimmed depending upon the number of packers under the cleat. Kept secure with 5mm nylok nuts and washers. Simply unbold the old fixed fairlead and replace. contact us directly using the details at the top.